“If @anthonyjoshua and @bronzebomber want to become household names in the US of A and stop doing mediocre raiding (ratings?) on Showtime, call me and I’ll make you superstars in the beautiful USA,” De La Hoya wrote earlier today. Joshua, who seems about as content as can be with current promoter Eddie Hearn, doesn’t look like going anywhere. 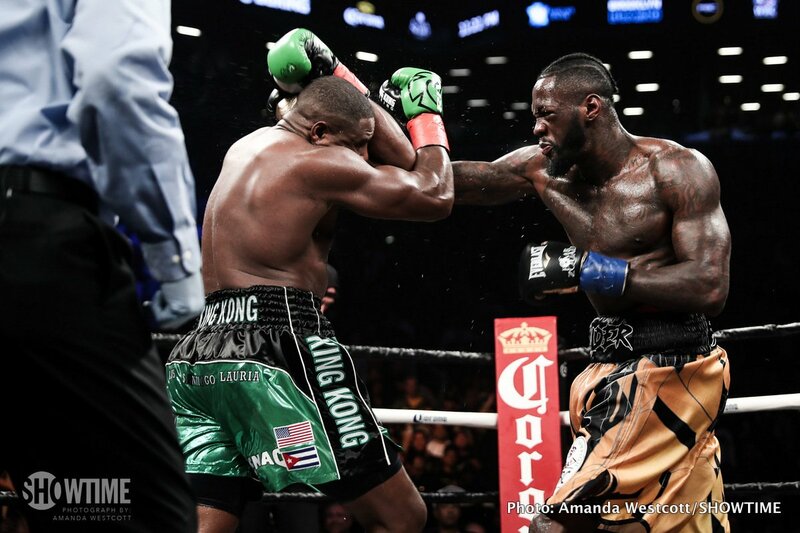 Wilder, who, as Hearn pointed out this week, has three managers (Shelly Finkel, Al Haymon and trainer Jay Deas) – and, as a result of this, making the fight with AJ is “difficult” – and is promoted by Lou DiBella, doesn’t look like jumping ship either. Fans have shot back at De La Hoya, but the former champ and current mover and shaker won’t budge; insisting Joshua and Wilder should and could be making more money. “If your happy with a National champ, fine, I come from the old school “world champ,” De La Hoya tweeted back to those UK fans who informed him that AJ is doing fine as he is, selling out the cavernous Wembley Stadium in London. Eddie Hearn would say the exact same thing. Can De La Hoya possibly bring more to the table the Hearn can? Again, AJ is going nowhere as he is in safe hands right where he is.